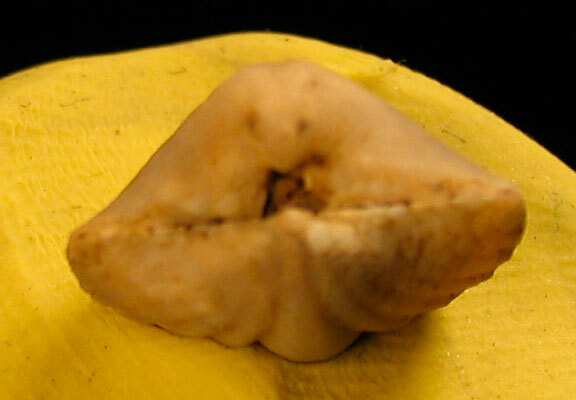 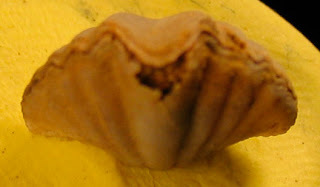 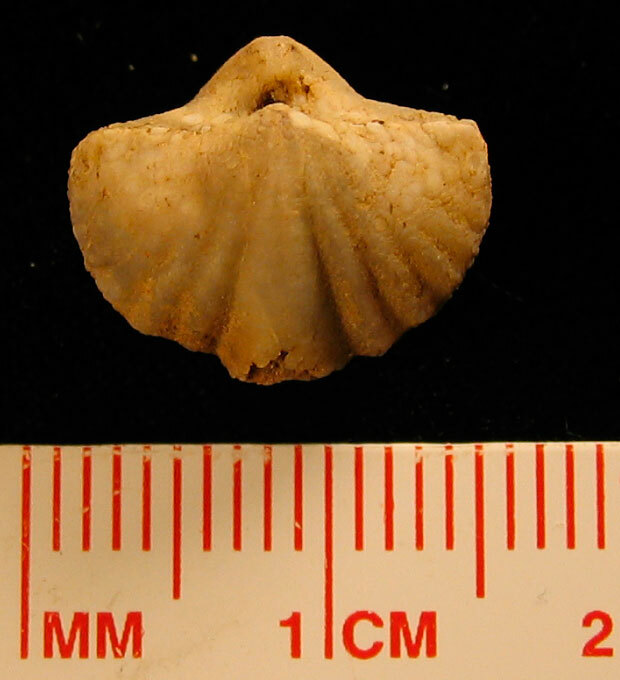 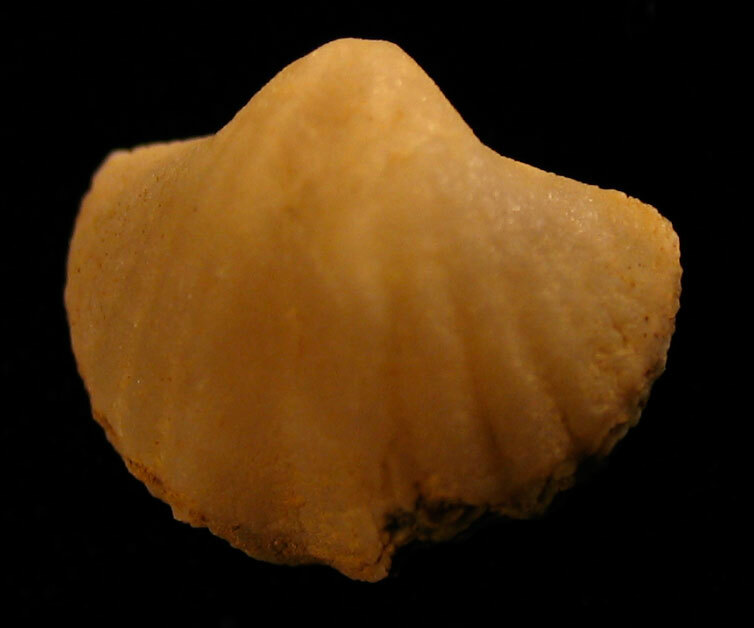 A Fimbrispirifer grieri brachiopod found in the Jeffersonville Limestone of Jefferson County, Kentucky. 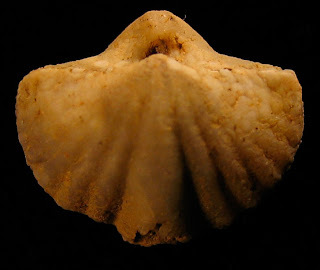 This animal existed in the Middle Devonian Period. Species named by James Hall in 1857 who at the time called it Spirifera grieri.